Lors de la première session des Championnats Nationaux d’Angleterre Adam Peaty a surpris le public d’une part avec son temps de 58.55 en séries au 100 brasse et d’autre part avec son nouveau départ qui semble s’être beaucoup amélioré. 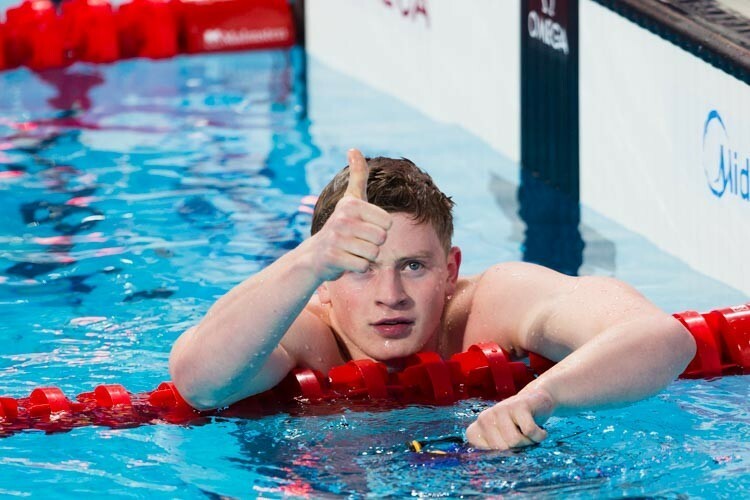 Born Dec. 28, 1994 Adam Peaty is a swimmer from Great Britain. 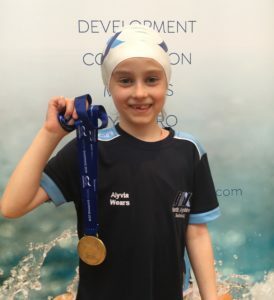 Standing 6’3″ Peaty is a breaststroke specialist, and is training for Rio 2016 with City of Derby swimming with Coach Melanie Marshall. Peaty is a member of Team Arena. 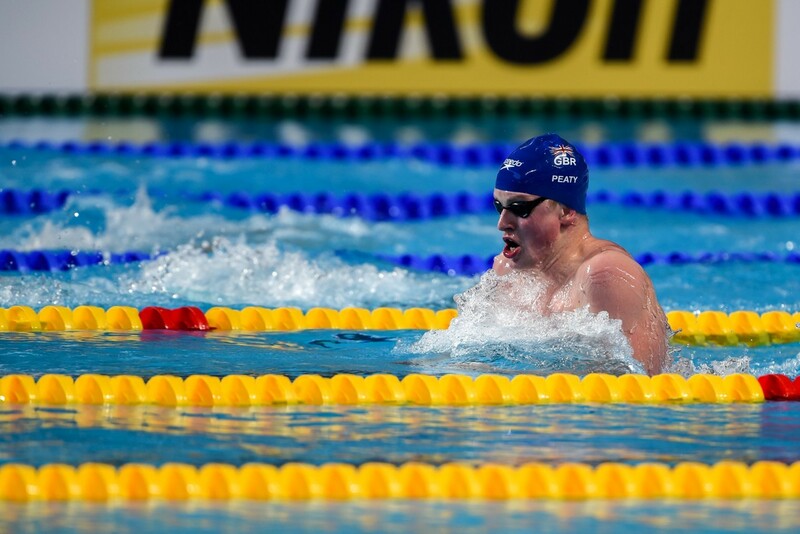 Peaty made his first traveling team as a junior swimmer, at the European Junior Championships in 2012. He competed in all three breaststroke events, and even finished fifth overall in the 200m breaststroke. 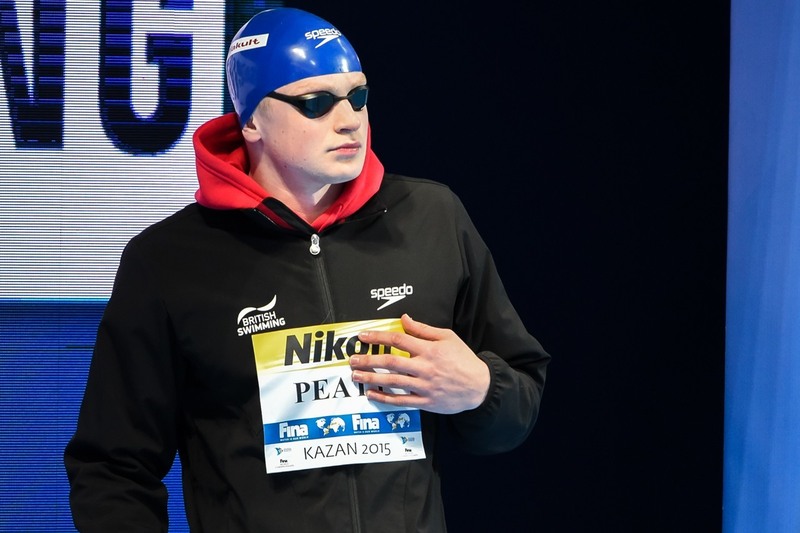 A year later in 2012 Peaty competed at the FINA World Cup circuit, and won his first medals at the 2013 British Gas Swimming Championships in Sheffield. 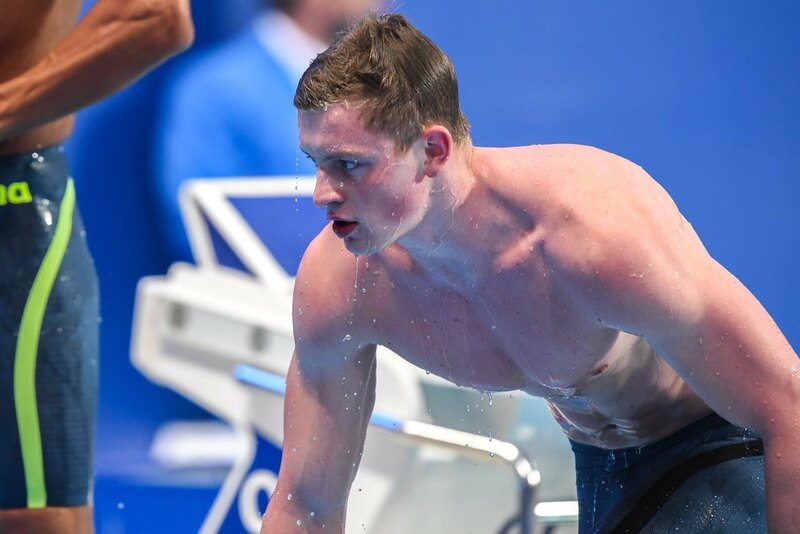 He won silver in the 50m breaststroke and bronze in the 100m breaststroke in Sheffield, but at the 2013 British Gas ASA National Youth Championships, Peaty swam his first sub-1:00 100m breaststroke swim. 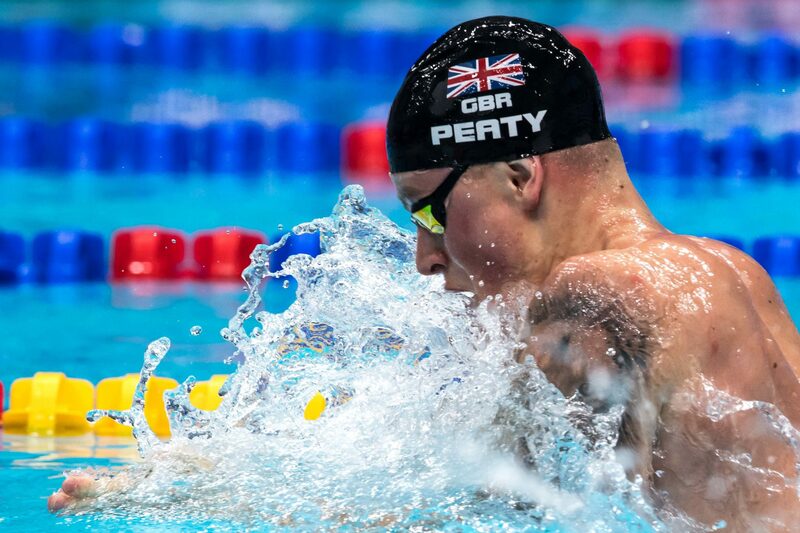 In 2o13 Peaty competed in his first senior international competition, this competing at the European Short Course Senior Championships. He went best times in all three breaststroke events. At his first Commonwealth Games in 2014, Peaty represented England and won four gold medals including the 50m and 100m breaststrokes. At the 2014 European Championships in Berlin, Peaty broke the World Record in the 50m breaststroke. In Apr. 2015 Peaty competed at the 2015 British Nationals, swimming his 100m breaststroke in under 58 seconds, breaking the World Record. In 2015 Peaty is on top of the world rankings in the 100m breaststroke. 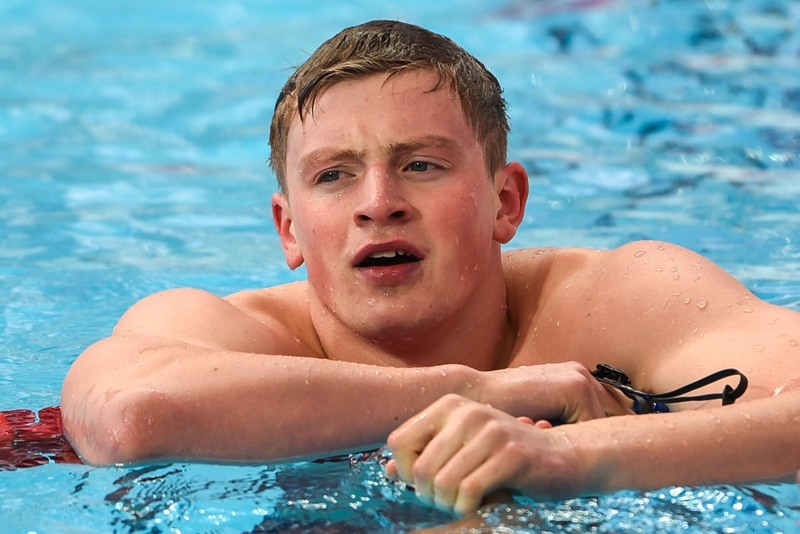 Just two years after debuting at the senior level Peaty represented Great Britain at the 2015 World Championships in Kazan. The 20-year-old breaststroker was the first Brit to win three gold medals in a single World Championships. He began his meet in his two specialty events — the 50 and 100-meter breaststroke races. In both events he edged out reigning champion Cameron van der Burgh becoming the first man in World Championship history to secure both the 50 and 100 breaststroke titles. It also tied him with David Wilkie as the only two British swimmers in history to win two world titles in one competition. He then turned his focus to the 400 mixed medley, joining Chris Walker-Hebborn, Siobhan-Marie O’Connor and Fran Halsall to win another gold finally surpassing Wilkie’s record. 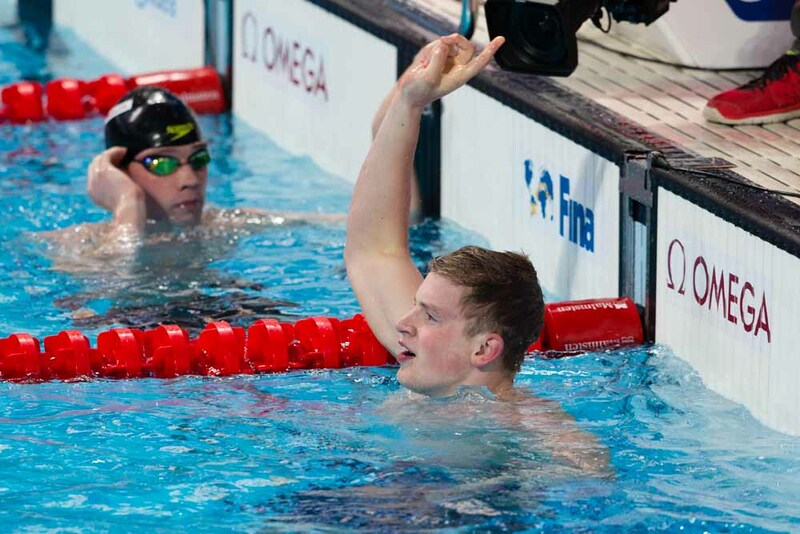 Making his Olympic debut in the 100 meter breaststroke heats, Peaty set the pool on fire. Thanks to a blistering first 50, he broke his own world record by 0.37 seconds, lowering it to 57.55. He moved to the semi-finals 1.36 seconds clear of his closest competitor. His quest to be come the first British male to win an Olympic gold in 28 years continued in the semi-final. He showed his consistency and poise, posting the second fastest time of all-time in 57.62 seconds. In the final, with the eyes of the British public watching in the early hours of the morning, Peaty destroyed the rest of the field touching for gold in 57.13 in another new world record. He went out in 26.61 under world record pace and turned up the heat again for the home stretch, putting clear water between him and the rest of the field. Former Olympic Champion, Cameron Van Der Burgh, touched second, a second and a half behind Peaty. Peaty was back in action on the final day in the 4×100 meter medley relay. He set the fastest ever relay split for the breaststroke leg in the heats and then again in the final to help Great Britain take the silver medal. In the final, he took over from Chris Walker-Hebborn in 6th place, but his monstrous 56.59 split moved Great Britain to first. His split was two seconds faster than the second fastest breaststroke split. James Guy took over for the butterfly leg, but was up against Michael Phelps who regained the lead. Duncan Scott finished off for Team GB, securing the silver in 3:29.24. Day two of World Championships, Peaty took down his own 100m breaststroke Championship Record from the semifinals, dominating the field to take gold in 57.47. That was the 2nd fastest performance in history in the event behind only his World Record 57.13 from Rio. Peaty also becomes the first man to ever do the Worlds-Olympics-Worlds triple, and the first since Brendan Hansen(2005, 2007) to repeat as World Champion. Hungary’s Norbert Rozsa also accomplished the feat in 1991 and 1994. Day three of World Championships, Peaty shattered his own 50m breaststroke world record in the prelims. He touched the wall in 26.10, taking over three tenths off his existing world record of 26.42. He was back on record-breaking form later that day. He posted an incredible 25.95 to break the 50 meter breaststroke record again. In the final Peaty wasn’t able to break his record from the night before but he still managed to give a dazzling performance. He defended his World title in 25.99 to post the second sub-26 50 meter breaststroke in history. He was 0.53 ahead of second place. On the final night in Budapest, Peaty won a silver medal when he joined Chris Walker-Hebborn, James Guy and Duncan Scott in the 4×100 medley relay. Peaty took Great Britain from 7th to 1st position with an incredible 56.91 split. Team USA retook the lead on the next leg but Great Britain managed to hold off Russia to touch 2nd in 3:28.95. Peaty grabbed the gold medal in the 100 breaststroke (58.84) after setting a Commonwealth Games record (58.59) in the semifinals. He earned the silver medal in the 50 breaststroke (26.62) after setting a Commonwealth Games record (26.49) in the event semifinals. After posting relatively modest times (but still garnering the top seed) in prelims and semis of the 100 breast to start off the euros, Peaty churned out a world record 57.00 100 breast in the final. LEN later admitted a timing error, and the time was changed to 57.10, but the world record still stood as broken, which Peaty admitted he hadn’t quite expected. In the 50 breast, he broke the championships record both in prelims and semis, turning in times of 26.50 and 26.20 to go into finals as the top seed and heavy favorite. Peaty continued his streak through the finals, busting out a 26.09 to claim another Euro title and championship record. Peaty’s favorite event is the 100m breaststroke, and his one tip to get to the top is to work hard everyday, and take every opportunity you can to get better. If he weren’t a swimmer, Peaty says that he would join the Navy or Army, saying that he’s always wanted to represent his country, especially as a part of the Royal Marine Commandos.